CorgiFields is based on a world of adventures and exploration in which you control a Welsh Corgi. You must help guide numerous sheep, overcoming obstacles and enemies insuring that they arrive safe and sound to their destination. 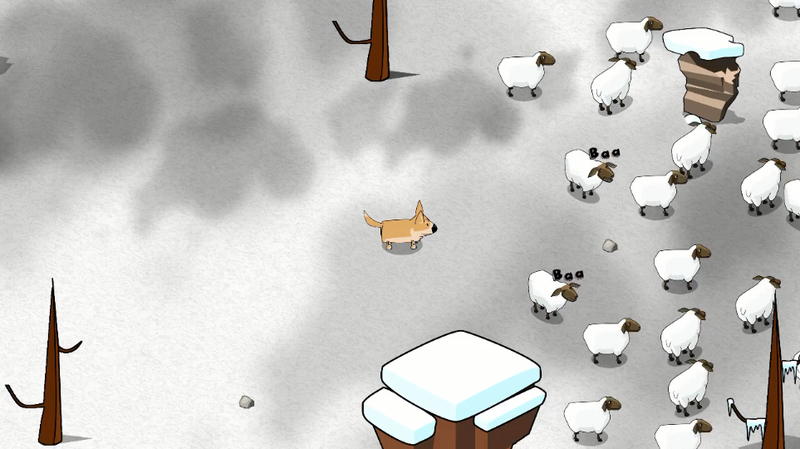 This crazy and comic-style game invites you to explore and think of strategies where you can mark and defend your territory so none of your sheep get stolen. The action of the game happens during the four seasons of the year, so you have to adapt your abilities to accomplish the mission.